5.7 How do I find out about weather? Hyper-V host in place running Gameserver and Webserver VMs. These instructions are for Windows 10. 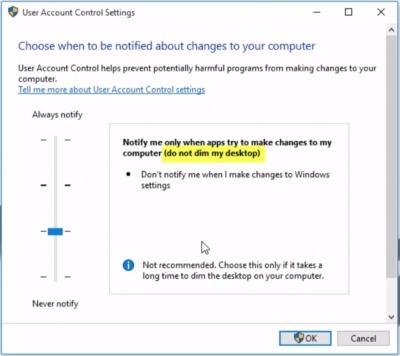 If you have any other version of Windows, the steps to get to the User Account Control settings may differ but all steps will end at same last step below (Step #4). Use the weather reporter NPCs found around Vana'diel. This is useful when unlocking the [Summoner] job. Some quests and missions require waiting until Japanese Midnight on retail to complete. For HomepointXI, this means midnight Central Standard Time (CST). 12:00 pm Eastern Standard Time (EST). 10:00 am Mountain Standard Time (MST). 9:00 am Pacific Standard Time (PST). 1:00 am (the following day) Japan Standard Time (JST). Various NMs across the world of FFXI have had their levels increased due to those NMs being involved with the upgrading of various pieces of armor/weapons or because they drop items that they normally wouldn't in retail. Even if you don't think an NM in the game has had its level boosted, it's always a wise choice to utilize the tools that have been made available for you here on HomepointXI. Your life could depend on it!!! If you on Windows 10, check to make sure DirectPlay is enabled. Control panel -> programs and features -> turn windows feature on / off -> Legacy Components -> turn on direct play. For HomepointXI.com website only issues.